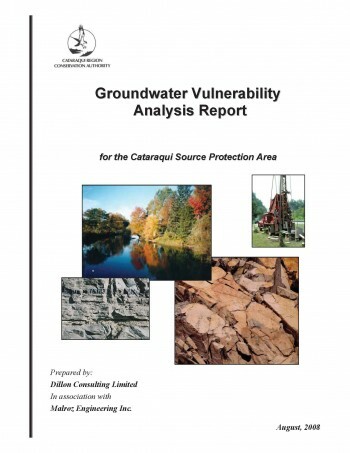 The purpose of the Groundwater Vulnerability and Analysis Report was to identify regionally sensitive groundwater areas including significant groundwater recharge areas and highly vulnerable aquifers, as well as to understand hydrogeological conditions within the Cataraqui Source Protection Area. The report was completed in August, 2008. It was used as a technical resource reference document during the development of the Cataraqui Source Protection Plan.